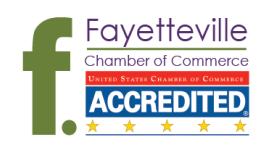 The Fayetteville Chamber offers multiple Leadership programs that are designed to develop and educate current and emerging leaders in Northwest Arkansas. Through these programs, we are able to help individuals and businesses, along with the community at large. These programs are essentially a "backstage pass" to learn about the various community assets that contribute to the prestigious quality of life that the City of Fayetteville and all of Northwest Arkansas enjoy. The Leadership Link Alumni program brings together the past graduates of the Leadership Fayetteville program. This is an exclusive network of regional leaders of over 600 strong. The goal of the Leadership Link Committee, who oversees the Leadership Fayetteville program, is for graduates to continue to grow personally and professionally through networking opportunities, volunteerism, and educational programs.